Congratulations to the 1st place winner, Mrs. Dotson's 4th grade class! 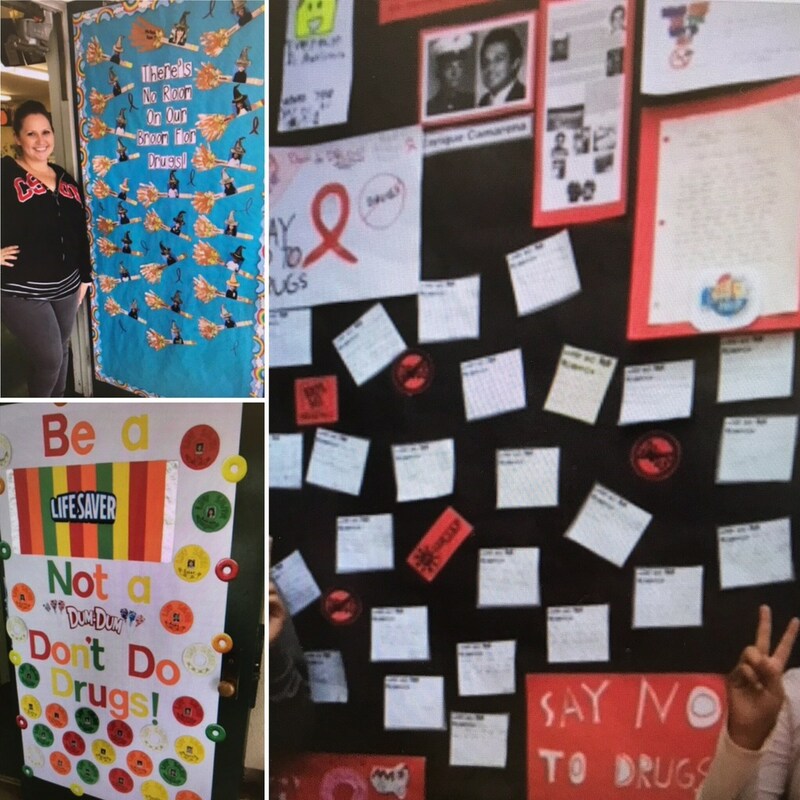 Their class went above and beyond with creativity, promoting the 2017 theme: ~Your future is key, to stay drug free~, student work, historical research, along with student-made hats promoting a drug free community. Congratulations to the 2nd place winner, Ms. Karzin's kindergarten class! 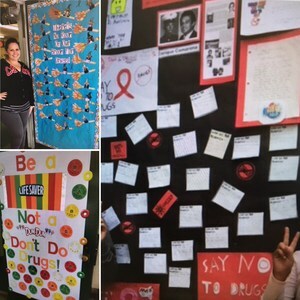 Their poster was very creatively themed, students made adorable broomsticks and traced their hand to make the bristles, and had a catchy slogan promoting a drug free environment! Congratulations to the 3rd place winner, Mrs. Altamirano's TK class! Their poster was bright and colorful, creatively candy themed, and eye-catching with a beautiful slogan!